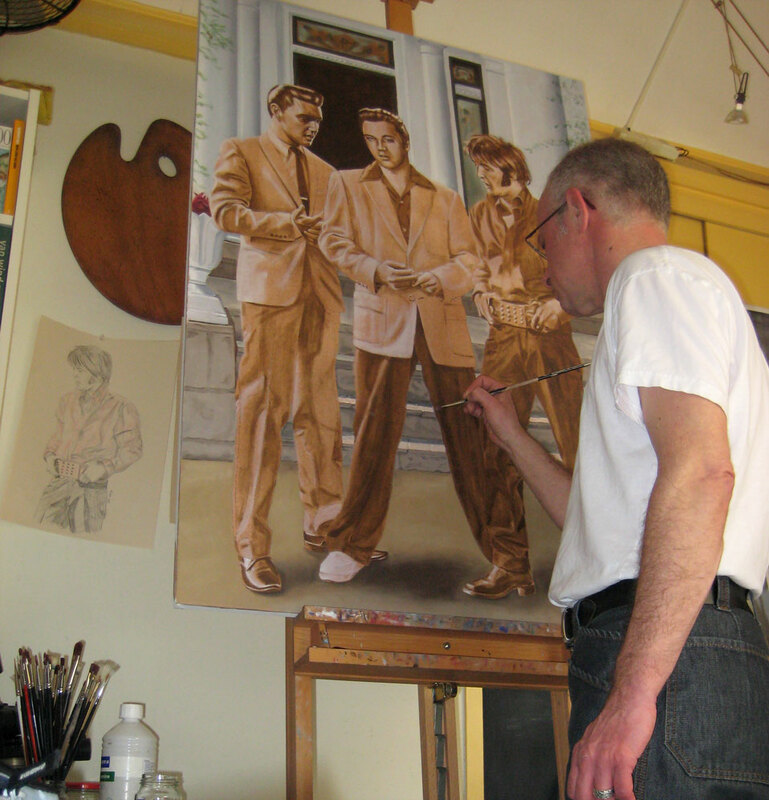 I started on the first Elvis in Charcoal drawing for this year. Another one in the Movies series, Speedway. 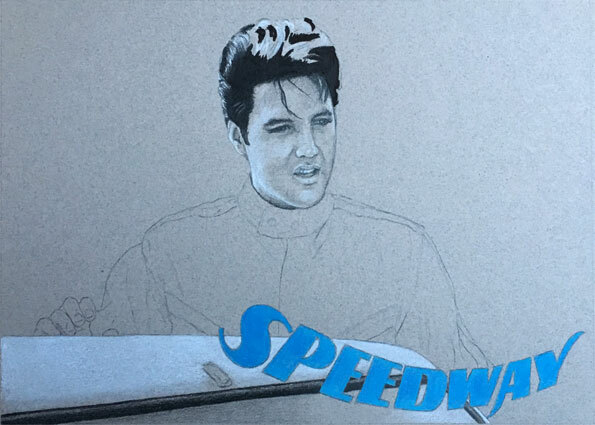 Speedway is the 27th Elvis movie and released in 1968. 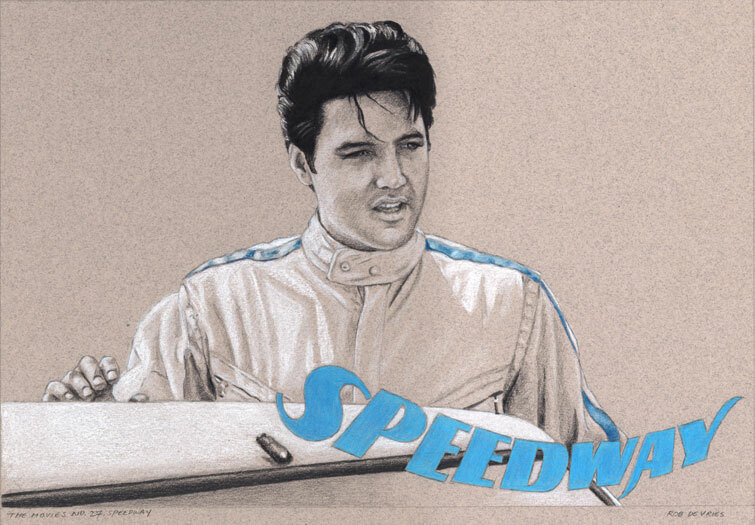 Elvis Presley sings his way around the race circuit as successful speedway driver Steve Grayson. All is fine and dandy until the tax return submitted by a wise-cracking Bill Bixby (as Steve’s manager) is scrutinised by the IRS. Will Elvis be able to raise the $145,000 to pay his tax bill? Will he succeed with his advances to IRS inspector Nancy Sinatra? 30 x 20 cm, 2017.